If you have been visiting our website and even if not but you are car lover, you definitely would be aware about RLX being Acura’s flagship sedan. However this definitely isn’t the car that seeks for attention or needs any recognition while moving over streets. 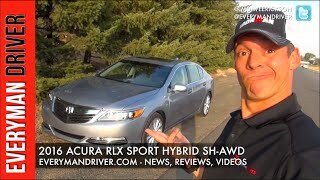 Well getting back to the new release we are here to talk about, Acura RLX 2016. Model is installed with all new safety features and a Sport Hybrid is reintroduced with high concentration upon the efficient performance. 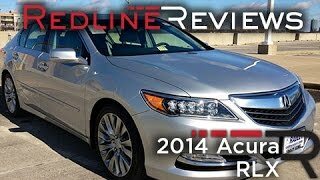 Let us have a closer sneak at all new Acura RLX 2016. Interior of Acura RLX 2016 is as spacious as it was expected to be looking at its larger wheelbase. However the 12-way adjustable seats come with heating as standard and an option of ventilation. There is enough of headroom, so relax even if you are little above the six feet mark. Moving to the rear compartment seats are enough to give space to three passengers. Acura RLX 2016 has been made from some of the quality materials that won’t just give you a smooth touch but will also add to the essence of beauty inside the cabin. Yes talking about the beauty and comfort you’ll find a 7 inch LCD touch screen providing you commendable experience while using AM/FM/CD/XM. Talking about the navigation system it comes with voice command and AcuraLink. 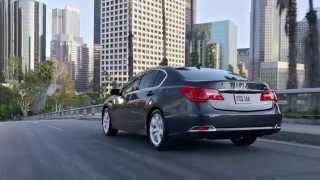 Some standard features in Acura RLX 2016 like power sunroof, push button start, automatic headlights and rear view camera will also add to a safe and joyous ride. 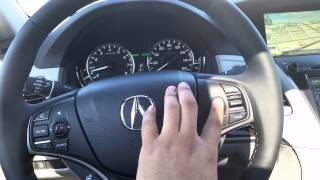 Exterior of Acura RLX 2016 is simple and graceful holding universal looks. We would say that by ‘Universal looks’ we simply mean that nothing extraordinary has been inculcated in the exterior. Thin stretched LED headlights are mounted on front fascia while the LED taillights give the same look to rear. Looking at the entire exterior you’ll understand that it’s a simply molded sedan prepared keeping in mind the day to day on-goers and middle business class people with mid-budget. Front fascia in comparison to the rear still holds little catchy touch through its well designed grille that holds its roots in past and the bumper befitted with fog lamps on each side. No muscular or aggressive look has been given to the Acura RLX 2016, so if you are the one who believes in features inside providing comfort and safety, this particular model is definitely the one you should go for. Acura RLX 2016 get its power through a 3.5 Liter V6 engine that produces 310 hp and 368 nm torque paired to six speed automatic transmission. With these power statistics Acura RLX completes the 0-60mph range in 6 seconds.